I brought this rice salad down to Mossom Creek Hatchery for the hungry volunteers to eat last week. Patty and her kids, Miranda and Griff, have been volunteering at Mossom Creek Hatchery for many, many years. Miranda’s initial film inspiration came from her work at Mossom so I was happy to provide a dish that appealed to her vegetarian palate. I actually decided to make the Rice Salad as an alternative to the Quinoa Salad that has become my standard for potluck gatherings. 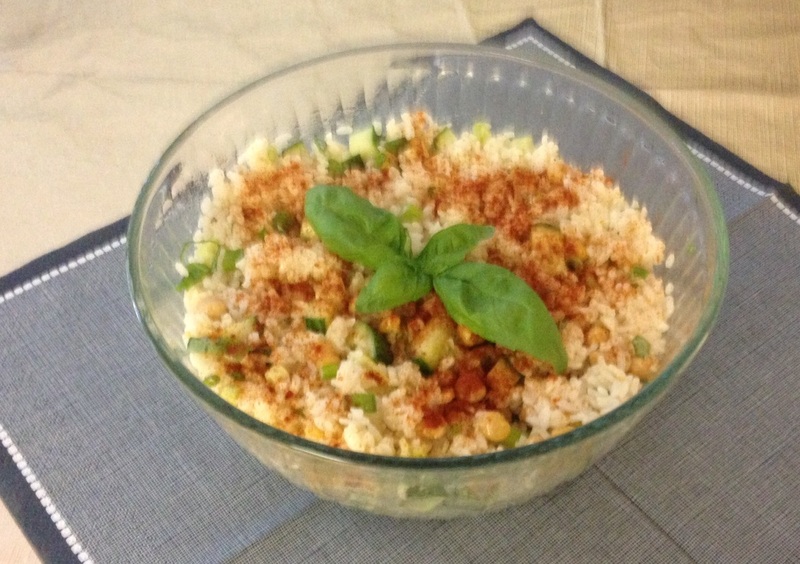 Many years ago my friend, Lynn Hardy, made a rice salad that was delicious and economical. Since then, I think this version emerged as a fusion of a memory of Lynn’s delicious salad, a tribute to my friend Gevin who introduced me to Tony Chachere’s Creole Seasoning, and of course all the Korean ingredients in my kitchen. Store tightly covered and eat soon after preparation. 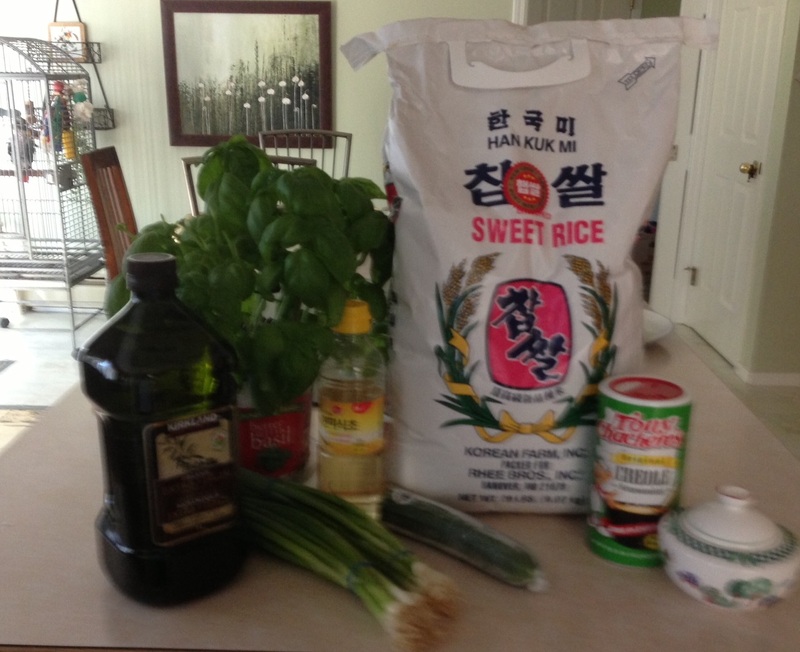 This rice, like sticky rice, dries out quickly. To serve next day add a little more oil and vinegar and stir well.